Port City Pools of Wilmington NC is the best choice for swimming pool installation. We care about your needs and we'll go above and beyond to customize your pool. We have a reputation for excellence that is based on our design skills, craftsmanship, construction expertise, and business practices. Whether it is simple and budget-friendly or an exotic backyard retreat, Port City Pools has the experience and talent to make your backyard extraordinary. All of our pools are designed to fit your lifestyle and budget, without ever compromising on solid construction standards. 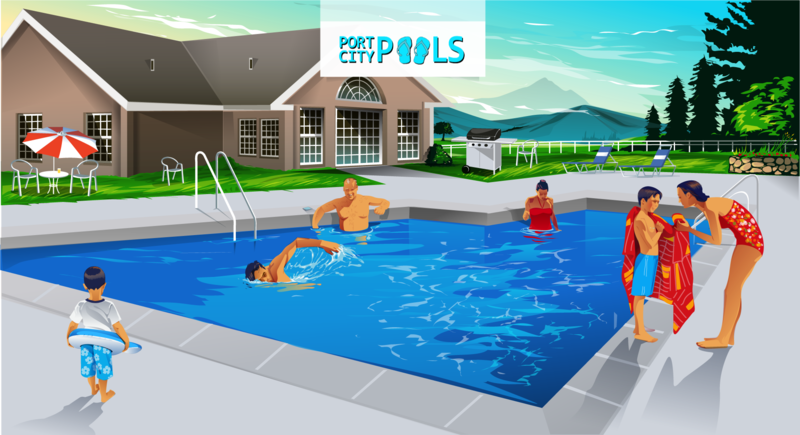 Port City Pools serves the Wilmington, NC area including New Hanover, Brunswick, Pender and Onslow counties. Contact us for a free estimate!